Dandelion: Pesky Weed or Medicinal Herb? Dandelion is considered by most people to be a really pesky weed but that could not be further from the truth. Dandelion is one of the most nutrient dense and highly medicinal wild weeds. Dandelions have been used by humans for food for much of recorded history. Dandelions are nutritious and very medicinal. Until the mid-1800’s, dandelions were encouraged to grow in people’s backyards so they could be easily harvested for treating a variety of ailments. After a long winter of no fresh food, the dandelion with its high vitamin and mineral content, was a wonderful spring tonic for the body. Dandelion can strengthen the liver, the gallbladder, helps get rid of gall stones, strengthens bones & teeth, reduce joint stiffness, lowers uric acid and blood cholesterol levels and promotes good digestion. Dandelion is also a diuretic, laxative, a potassium source, liver tonic, general tonic, good for muscular rheumatism and is anti-inflammatory. Dandelions are also good for the bladder, spleen, pancreas, stomach and intestines. It is recommended for stressed out, internally sluggish and sedentary people. The entire dandelion plant is medicinal. Dandelion leaves are wonderful in salads, soups or sautéed or steamed. They taste like chicory or endive, with an intense heartiness overlying a bitter tinge. The leaves are more nutritious than anything you can buy. They’re higher in beta-carotene than carrots, the iron and calcium content is phenomenal, greater than spinach, loaded with vitamins, biotin, inositol, potassium, phosphorus, magnesium and zinc. The flowers contain vitamins A, B12, anti- oxidants and have mild anti-inflammatory properties. Dandelion leaves are wonderful for the kidneys. They are a gentle but effective diuretic relieving water retention and bloating and toning the kidneys. Dandelion root is also a really great liver tonic. It stimulates the liver and gallbladder to release bile, relieves stagnation, and encourages healthy digestion. There is research going on now with highly preliminary evidence that suggests that dandelion root offers chemotherapy-like effects with a high degree of safety and fewer side effects than conventional drugs. It appears to kill off cancer cells without harming the healthy ones. The leaves and roots are wonderful as a tonic tea or added to other tea blends. 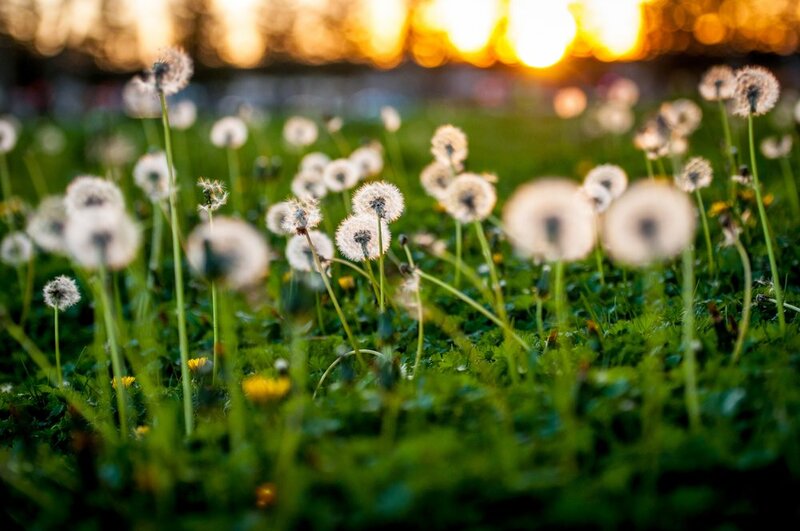 As you learn more about how good dandelions are for what ails you, be more respectful as you see all those dandelions popping up in your yard this spring. Collect dandelion leaves in early spring, when they are the tastiest, before the flowers appear. You can harvest them again in late fall.